It is with much sadness that I must tell you that one of our most faithful, longtime Ski Club members has recently passed away. A memorial service is planned for Friday, June 14, at Dallas-Fort Worth National Cemetery, 2000 Mountain Creek Pkwy; Dallas, TX 75211. His family has requested that donations be made to the charity of your choice since no flowers are allowed at the cemetery. More information will be sent as soon as we have it. Don died from complications of lung disease and Pneumonia. On Sunday he was not feeling well, and on Monday, May 20, he was admitted to the hospital. His son Scott was with him during those four days and at the time of his death. Don was a loyal DSC member and friend who will be greatly missed. He was a regular at Arthur's, his home away from home, and many of us will remember him at Arthur's - dancing the night away! Please include Scott and his family in your thoughts and prayers. Barbara Stenson Hardy went to heaven peacefully on February 17, 2013 at her home in Corinth, Texas at the age of 68. A memorial service was held in her honor at Valley Creek Church, Flower Mound, Texas on Thursday, February 28. Barbara was a devoted and loving wife, mother and grandmother to her three children, two step children, seven grandchildren, and three step grandchildren. Barbara was a beautiful and loving woman who enjoyed snow skiing and was a long time member of the Dallas Ski Club. In addition to serving on the DSC Board, Barbara was a wonderful Trip Leader for several DSC trips. She had a passion for gardening and was a member of the Soul Sisters organization at Valley Creek Church. Barbara was survived by her husband Ed Hardy of Corinth, her children Jon Stenson and wife Christy of Mt. Pine, Arkansas; Angie Cole and husband Chad, of Midlothian, Texas and Matt Stenson and wife Melanie of Shady Shores, Texas and step-daughters, Terri Hardy and Gwen Surgeoner and husband Robert; grandchildren, Stenson, Corban, Jackson, Jacob, Jagger, Laila, Ava and step-grandchildren, Gavin, Sarah, and Thomas. Also surviving are her sisters, Diane Kuznia, Evelyn O’brion, Shirley Mattson and her brother Jack Diegel. Dr. Roger Harold Godwin, Jr. passed away on February 14, 2013. Born in Dallas to Mildred and Roger Godwin in 1924, he graduated from Woodrow Wilson High School and attended Texas A & M University and SMU. He graduated from Baylor School of Dentistry in 1950 and practiced in Casa Linda Plaza from 1951-2004. He also volunteered his dental services at a local orphanage. In 1952 Roger organized the Professional Dental Research Group and held several offices with the Dallas County Dental Society. Serving as 1st Lieutenant in the Army Air Corps in World War II, he was a bombardier in the Pacific theatre. A charter member of White Rock Kiwanis Club since 1950, Roger was president of the organization in 1967. He began snow skiing in 1959 and continued for almost half a century until he was 84 years old. Roger was a long time member of the Dallas Ski Club and served as President of the Dallas Ski Club from 1966 to 1967. A member of T Bar M Tennis Club for fifteen years, Roger also played tennis well into his eighties. An avid yachtsman, he kept his boat on Lake Texoma for more than seventeen years. Survivors include his beloved wife of five and a half years Karanina Chuoke Godwin; son Bruce Godwin of Houston; daughters Donna Godwin of Portland, Oregon; Kim Brown of Gunnison,Colorado; granddaughter Kate Mefford of Colorado; and two great-grandsons. Alden Elwood Wagner Sr. passed away peacefully on December 7, 2012. Born in 1922, in New Jersey, he was the only child of Adolph and Peggy Jean Wagner. Both of his parents died when he was a small child, and he was raised and educated by his grandmother and great aunt. He attended the Hinckley School, in Hinckley, Maine and in 1944 graduated with a BA degree from Colby College in Waterville, Maine. After graduation he attended Dartmouth's Amos Tuck School of Business through the Navy's V-12 Program. Later at Columbia University, he was commissioned as an Ensign, before serving in World War II. Alden was a second officer in command of an amphibious ship landing tanks on the beachheads during the Normandy invasion on D-Day. In 1947, he received an honorable discharge from the United States Navy and settled in Dallas where he married Dorothy Helena Underwood. He started his business career as a mortgage banker, eventually becoming a home builder and building over 5000 homes in Dallas. After 1965, he concentrated on building shopping centers and developing commercial properties. Alden was Vice Chairman of the Mortgage Banking Committee of the National Home Builders Association. He was one of the original incorporators of the Richardson Heights Bank, past director of Stewart Title Co., and a director of La Quinta Motor Inns. He served on the board of St. Marks School of Texas, was President of the SMU Dad's Club, served on the board of the Hinckley School, and director of Cullen/Frost Bank. He was a member of the Park Cities Baptist Church, the Church in the Forest in Pebble Beach, Ca., the Dallas Country Club, the Petroleum Club, Bent Tree Country Club, and the Beach and Tennis Club and Stillwater Cove Yacht Club of Pebble Beach, Ca. Alden was an active member of the Salesmanship Club of Dallas since 1974 and he was one the founding members of "25 Investors", a social/business group formed by close friends in 1949 that still celebrates together some 60 years later. Since 1965 Alden maintained a home in Vail where he loved to golf and ski. He was very proud to have built one of the first homes at the Country Club of the Rockies and enjoyed skiing the Arrowhead and Beaver Creek mountains. He was a past president of the Dallas Ski Club and traveled to ski resorts around the world. Family and friends have many fond memories of the Dallas Ski Club's annual trips to Aspen. As well, he took much pleasure in his weekly golf and tennis matches with his many friends. In addition to his parents, Alden was predeceased by his wife of 50 years Helena, the mother of his three children. In 1999, Alden married Gloria Somerville and for 13 years they have enjoyed traveling and spending summers in Carmel, Ca. This became his new favorite "home away from home" where he made many lasting friendships. Philanthropy was a hallmark of Alden's life. He donated generously to his alma maters the Hinckley School and Colby College; as well as endowing a chair in the business school at UT Austin, and giving an annuity trust to the SMU Cox School of Business. Alden felt his greatest assets were his faith, family and friends. He was always positive and possessed a kind loving spirit. 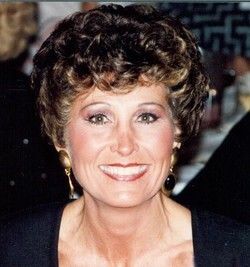 Carolyn Ann McBeth born October 3, 1942 in Dolton, Illinois, passed away January 16, 2012, from ovarian cancer. She is survived by her husband, Charles McBeth, son, Vincent Flowers, and step-daughters, Sydney McBeth and Suzy McBeth. Carolyn cherished her many friends, and kept her friends; From grade school in Dolton, from Thornton Township High School, from Chicago, Heights Grade School PTA, West Jr. High PTA, the Dallas Ski Club, Canyon Creek Country Club Tennis, and others. A wonderful part of Carolyn's personality was captured in a recent birthday card that showed children frolicking in the spray of a lawn sprinkler, "Carolyn, you're a constant reminder of how fun life is supposed to be." Thank you, God, for Carolyn, and the fun life we had with her. 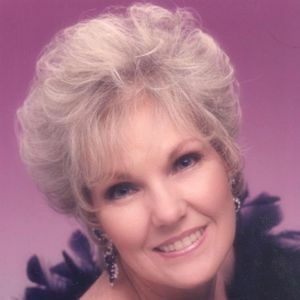 Lenora June Kindy, age 68, passed away on Friday, December 16, 2011 at the Medical Center of Plano. Born in Dallas, Texas, June has lived most of her life in the Dallas Metroplex. She was a devoted wife, mother and grandmother who loved her Lord, her family, her friends and her community and she served them faithfully during her lifetime. As a devout Christian woman she served her Prestonwood Baptist Church in many ways and was a compassionate person who loved all people and always had empathy and time for those needing her tender loving help. June is survived by four sons, Scot, Dale, Doug and Tim and seven precious grandchildren Jake, Zack, Reed, Mia, Tyler, Carson and Parker and three daughter-in-laws Jennifer, Tracy and Sally. She also has two surviving brothers Joe and Pete and sister Pat. Bill Sparks, age 83, passed away on May 5, 2011 after a courageous 15 year battel with cancer. He was born in Dallas in 1928. Bill is survived by his loving wife of 61 years, Joyce; his two sons, Greg and Gary; grandsons, Mathew, Connor and Saxon as well as nieces and nephews. Bill graduated from Adamson High School in Dallas. After High School he served in the Air National Guard. Bill was an avid pilot who logged thousands of hours in his private plane over 25 years. Although he spent many hours criss-crossing the country on business trips, Bill loved to pack the plane and take off for exciting family trips to the Bahamas, the Caribbean, Mexico and Colorado. An accomplished scuba diver and spear fisherman, Bill served as President of the Dallas Divers Club in the early 1960's. An expert skier, he later became President of the Dallas Ski Club in 1973-1974. Bill and Joyce built their dream vacation home in Steamboat Springs CO where they enjoyed skiing and hiking with family and friends. Bill loved to compete in ski racing and over the years won several events, most notably the 1998 NASTAR National Chanmpionship in the 70 - 79 age group. He was also competitive in tennis. Barbara Lee Jones passed away on February 11, 2011 with her beloved family at her side. Left to cherish her memory are her children, Kirk, Clay and Trisha. Barbara is also survived by her brothers, Jay and wife Ellen, Jeff and wife Sandy, Chris and wife Genea, her nieces and nephews, cousins and her special friend Jim. Her parents, Jerry and Barbara Degen, and her husband, Bill Jones, preceded her in death. Barbara was born in Flushing, NY on May 21, 1938. She graduated from Fairfax Hall, VA, and Sophie Newcomb in New Orleans, LA. Barbara lived in, and visited many countries all over the world. Traveling was her passion; she enjoyed playing bridge and gardening; was an avid tennis player, a great fundraiser, a highly regarded and well respected realtor, but most of all she was a dedicated, loving Mom and good friend. Larry Don Pope, long time member and former Treasurer of the Dallas Ski Club, died on Sunday, January 16, 2011 in Lewisville, Texas. Don was born on November 23, 1943 in Mineral Wells, TX. Don was a professional architect steel designer for 40 years and past president of The National Institute of Steel Detailers. A long time resident of Arlington, Don loved flying, skiing, and boating. Survivors include life partner, Delores Downard of Lewisville; daughter, Kim Pope Dye of Irving, nephews, Kent, Keith and Kelly Pope; brother, Dan Pope and wife, Sharon, of Lubbock and a host of friends and loving family. He will be greatly missed by all who knew him. Andrew Hassell, Col. U.S. Army Reserves, (Retired) Born October 29, 1923 in Marugame, Japan, where his mother and father were Presbyterian Missionaries. Died February 17, 2010 in Aspen, Colorado, while on vacation. A graduate of North Carolina State University and Fordham Law School, Mr. Hassell practiced Patent Law with Texas Instruments for many years and then in private practice. Mr. Hassell was an accomplished musician on both the piano and the bagpipes and entertained his friends on many occasions. He was a long-time member of Preston Hollow Presbyterian church, the Dallas Ski Club, Dallas 200, Who's Who International, Riverside Dance Club, and the Delaware Hunting Club.